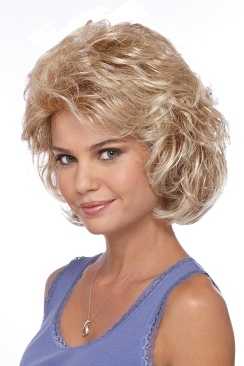 Compliment is from Estetica's Classique Collection and is a fun sassy collar length full wavy page cut. 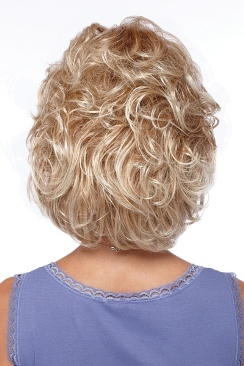 The cap is a "Pure Stretch Cap" and features an exclusive design that allows the entire perimeter of the wig cap to stretch, eliminating any pressure points and ensuring you the most comfortable fit ever. 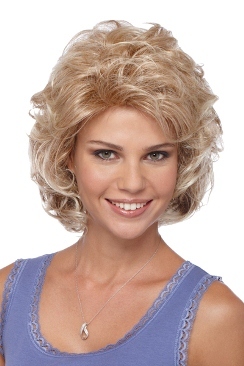 Finally a wig that looks great and feels great too! Bangs: 4" Crown: 5.5" Sides: 4.5" Nape: 5.5"